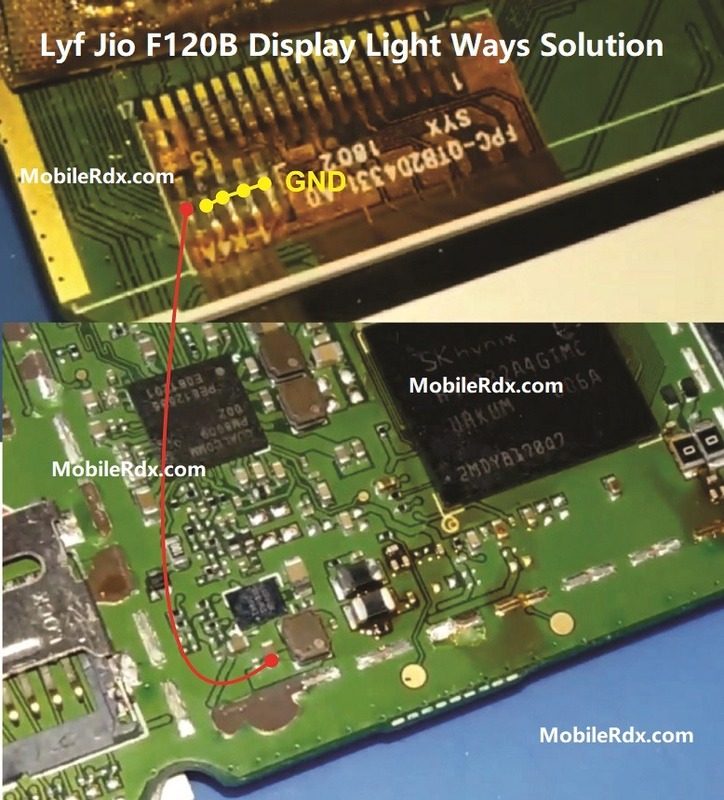 Lyf Jio F120B Display Light Ways connection line paths iscase you are going to troubleshoot display problem such blank display, dark screen display, white screen (with tones), No backlight LED that is resulted from due to wet damaged or accidentally dropped issues bu the users. If you have further Questions please leave a comment.Note: Please note that even though every solution posted on our website is tested by one or more members of our team before posting, but still we do not take any responsibility for any damage it may cause to your cell phones. Use these repairing solutions at your own risk. Thank You.